In close proximity to London’s major financial district Bishopsgate, Whitechapel is quickly rising as a prominent spot for growing businesses. 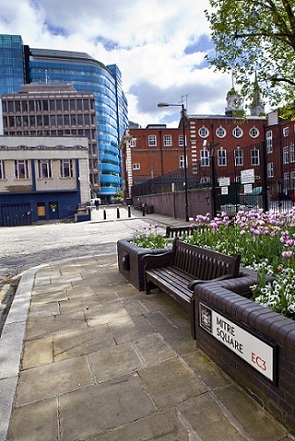 Alongside this excellent locale, Whitechapel is serviced by numerous travel links. Using these links – whether taking the one of the numerous bus lines that service the area or hopping on the underground – Liverpool Street is only 6 minutes travel, while Canary Wharf is only 20. Another advantage of the Whitechapel area is that, as it is approximately three and a half miles from the city centre, the majority of it is outside the congestion area. The current position of London office space has reached a plateau after a period of growth following a stagnant period. Confidence in the London market remains at a comfortable high, despite the general referendum occurring in 2015. However, as construction rates begin to level off, West End rental rates have begun to rise significantly. As a result of this, many new and already established businesses look to areas of London which have been previously undiscovered – such as Whitechapel. Having transport services to the city centre and other business parks as easily found as those in Whitechapel makes this region an in-demand location. Over the years, Whitechapel has altered its traditional trading style from one concerned mainly with the rag trade to a trendy urban technological hub ideal for up and coming small businesses. Recent years have seen media and internet companies localizing in Whitechapel – thanks to its immediate location to Shoreditch, which is a media hub of London. Most famous for its ‘orrible ‘istory – the infamous Jack the Ripper murders happened on its streets – Whitechapel has evolved over the years to be the host of dozens of cultural hot spots, restaurants and bars, quickly leading to it attracting a young, hip crowd. With a bustling street market and the old and renowned Royal London Hospital – which is undergoing redevelopment, due to reopen 2016 – Whitechapel is a diverse and exciting community. The potential of Whitechapel is exciting, and Whitechapel central has begun undergoing a regeneration project since the end of the lease expiry of Iron Mountain, the previous tenant. The end of this lease has opened up space for four hundred new flats and ten thousand square feet of shops, offices and leisure space, which will be generated by London and Quadrant. Also recently put for sale is Aldgate Tower, which is closely located to the City of London and has covered access to a number of underground stations, including Aldgate, Fenchurch and Liverpool Street. With state of the art office developments such as this in high demand in Whitechapel, the area is quickly gaining popularity. Alongside these regeneration projects is the construction of the new Whitechapel Crossrail interchange, which is expected to open in 2018. For further information on office space availability in Whitechapel click here.